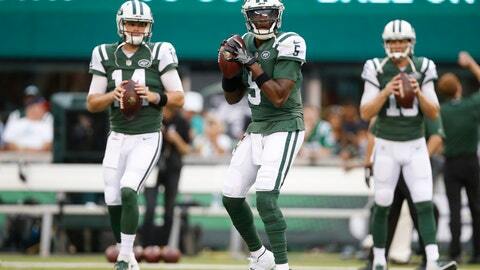 EAST RUTHERFORD, N.J. (AP) — The New York Jets‘ already intriguing quarterback competition just got a lot more interesting. The former USC star finished 13 of 18 for 96 yards, including a touchdown pass to Charles Johnson during which he rolled right and zipped the football into the end zone to his receiver while on the run. That came after Darnold brushed off a drop and an offensive pass interference penalty — both on Johnson — leading to the score.